Previously, we explored the breathtaking visual magic of outer-space thriller Gravity, the technology that brought a dragon to life in The Hobbit: The Desolation of Smaug, the task of animating an army of automated suits of armor in Iron Man 3, and the trouble with trains in The Lone Ranger. 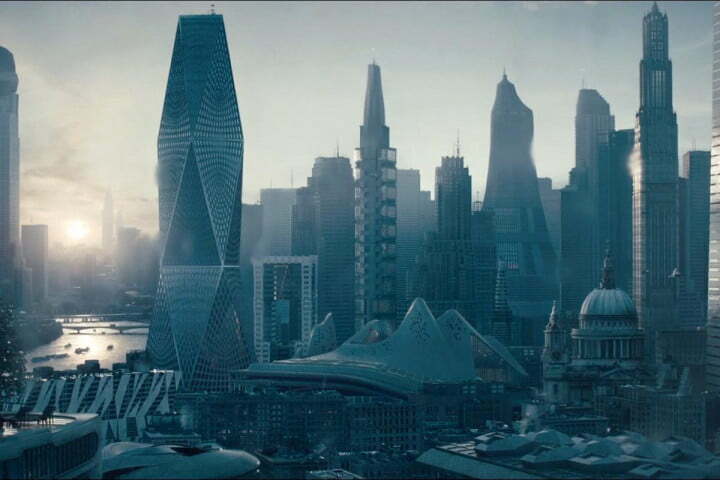 Now we look at the process of building the San Francisco cityscape of 2259 for Star Trek Into Darkness, and the techniques used to bring it crashing to the ground in the film’s final act. 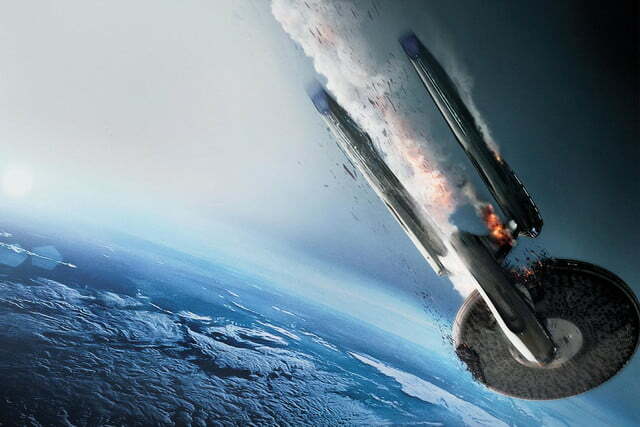 No one can accuse Star Trek Into Darkness director J.J. Abrams of skimping on impressive visuals in last year’s sequel to 2009’s franchise-rebooting Star Trek. 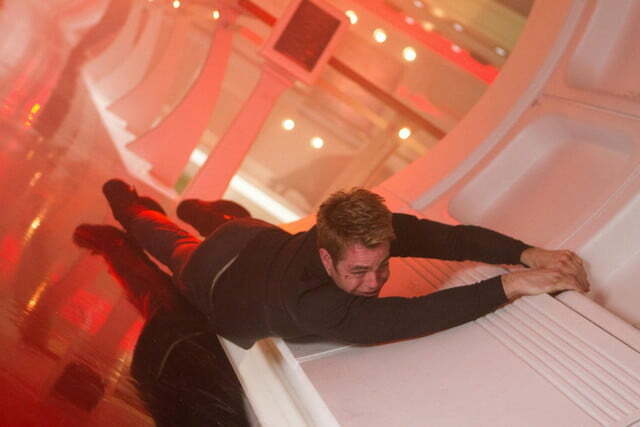 From the film’s very first act, which saw James T. Kirk and the crew of the U.S.S. 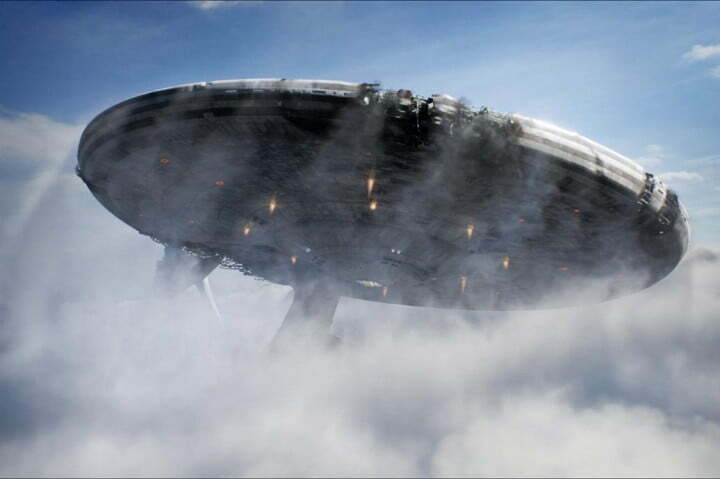 Enterprise saving a colorful planet from destruction wrought by an overactive volcano, Abrams and the artists of visual effects studio Industrial Light and Magic offer up one fantastic sequence after another that takes the well-known cast of characters from one end of the universe to another. 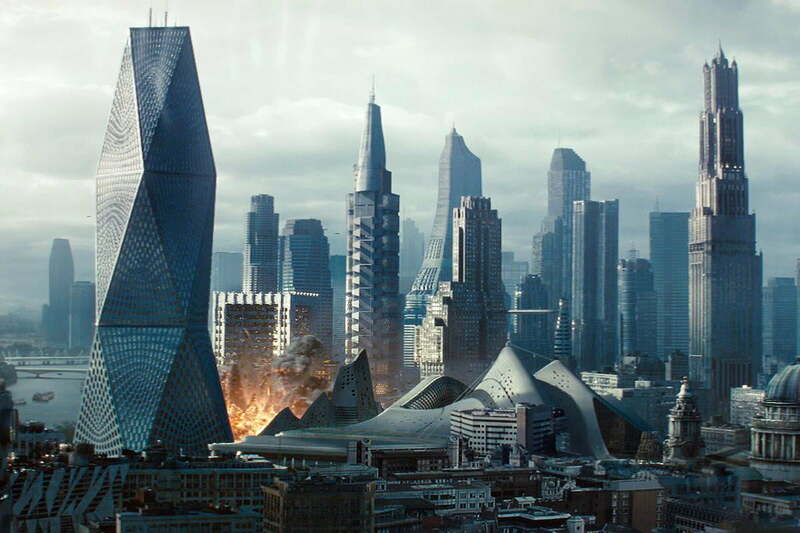 And when they bring the action back to Earth for the film’s explosive finale, the result is a memorable sequence that features a massive starship crashing into downtown San Francisco, reducing large portions of the futuristic city to rubble. 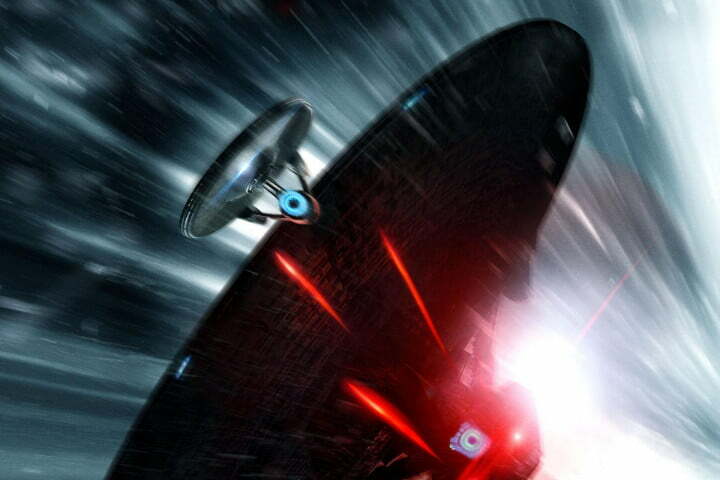 The last flight of the U.S.S. Vengeance is a fantastic sequence for several reasons, with the first and foremost being the amount of detail that ILM put into both the creation of the San Francisco cityscape in the year 2259 and the city’s destruction. Not content to simply build a Jetsons-style city in the clouds and call it a day, the ILM team designed the San Francisco of 2259 using a mix of urban planning and architectural theory, as well as a healthy dose of forward-thinking. A few local landmarks – like the Transamerica Pyramid – were also included to keep everything rooted in (potential) reality and provide some frame of reference for the scale of the city’s growth over the next two centuries. 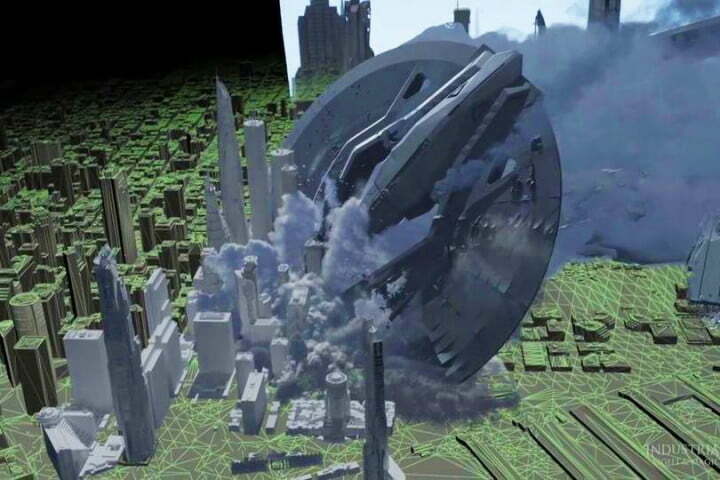 It was particularly tricky, according to ILM’s co-visual effects supervisor Pat Tubach, to predict how advancements like flying cars would affect the city and the layout of the landscape and architecture. 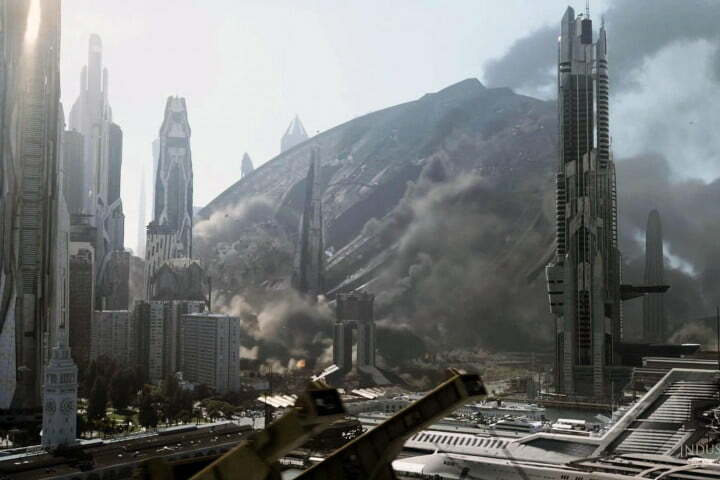 Here we see Star Trek Into Darkness’s 23rd century San Francisco coming together around the film’s climax. Speaking to FX Guide, Tubach – a San Francisco resident himself – called the project “a big thrill” for both himself and his local colleagues. 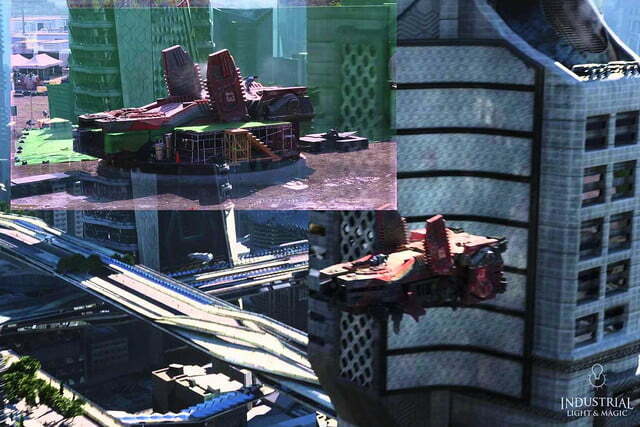 The ILM team designed the San Francisco of 2259 using a mix of urban planning and architectural theory. Coming up with a vision for San Francisco in 2259 would prove to be the easy part, however, as the ILM team was then tasked with creating a fully 3-D model of the city that could be used in both the early scenes occurring around Starfleet Headquarters and the final, explosive sequence that would wreak havoc on the city. 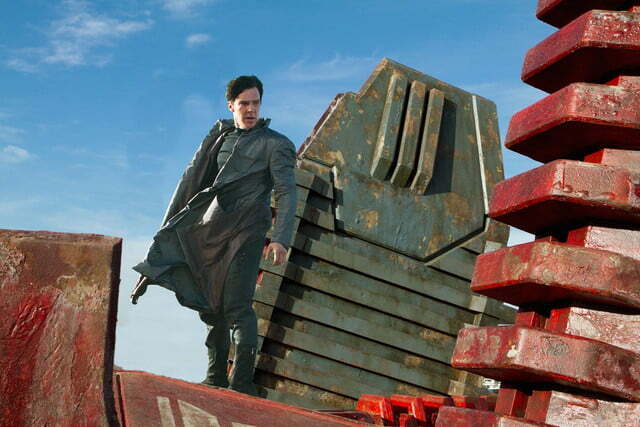 The 3-D modeling was especially important for the scenes featuring Spock (Zachary Quinto) and John Harrison (Benedict Cumberbatch) atop a barge as it flies through the city, according to ILM CG Environment Supervisor Barry Williams. The level of detail put into the city made its destruction in the last act of the film that much more devastating, and raised the level of difficulty for the film’s grand finale. 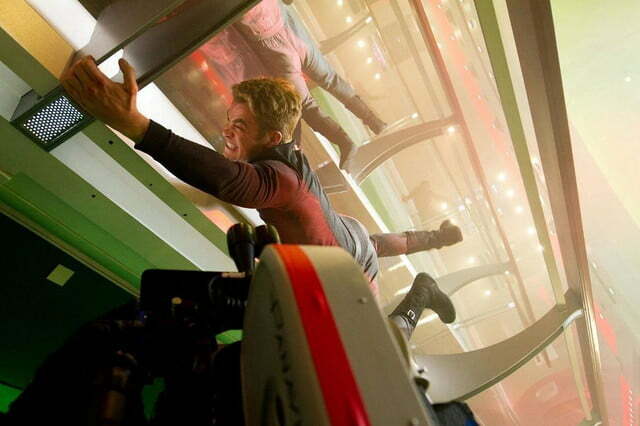 In one of the final major sequences in the film (Spoiler Alert! 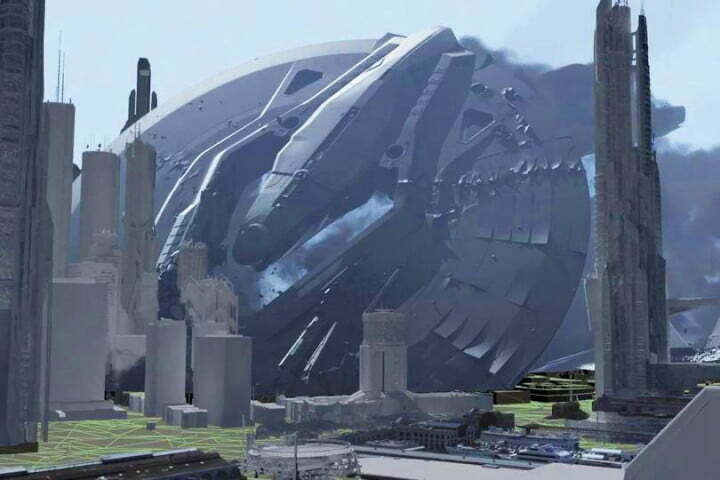 ), the massive U.S.S. 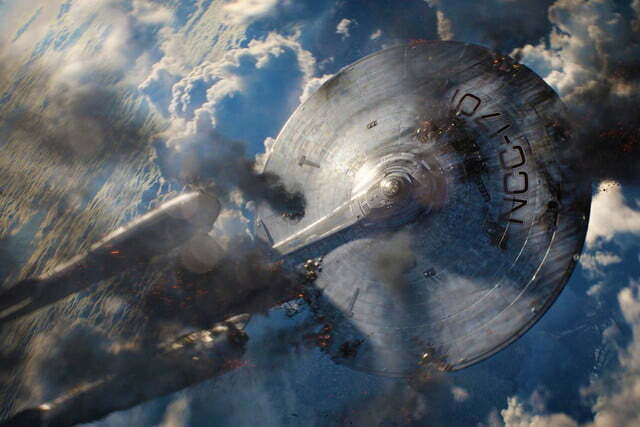 Vengeance comes hurtling out of the space on a collision course with Starfleet Headquarters, giving John Harrison one final chance for vengeance on the organization that he believes has wronged him. The black ship manages to take out a chunk of Alcatraz Island just before it makes impact with the city, and the ship’s momentum carries it further, bulldozing skyscrapers and countless other buildings as it skids to a halt. 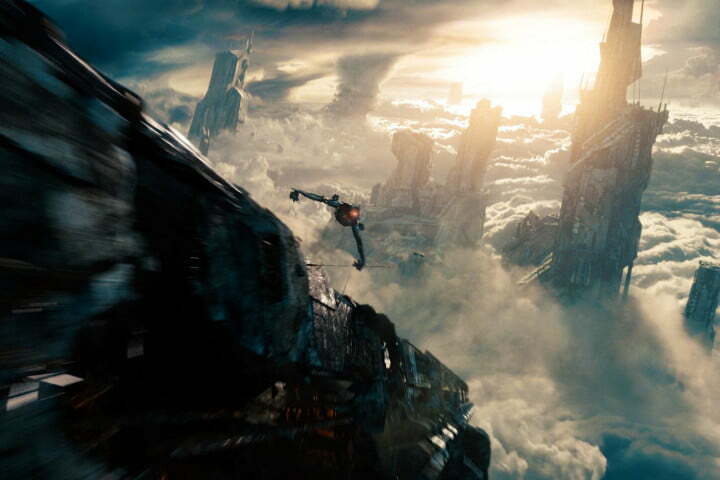 The destruction in the scene is, put it mildly, pretty intense – and the creating the scene may have been even more so. It takes a special kind of ship to cause that much chaos. Along with wrangling all of the resulting debris and other fallout from the crash, ILM’s team also had to account for what the crash would do to a ship like the U.S.S. Vengeance. After all, it takes a special kind of ship to cause that much chaos.